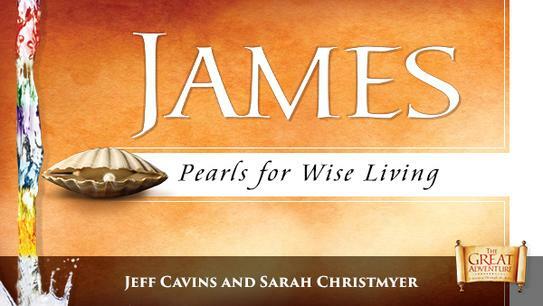 JAMES - Pearls for Wise Living by Jeff Cavins is one of the most practical books of the Bible. Like the book of Proverbs, it is a book of wisdom, a collection of teachings on issues faced by ordinary Christians in everyday life. These teachings speak loudly to all those who feel torn between the competing demands of this world and their faith. This study offers "pearls for wise living" by applying the wisdom of James to the present day. For anyone who has struggled to live a truly Christian life, James offers a wealth of practical solutions for handling and even sanctifying everyday circumstances. To register for James, please click here, or you may print a copy of the registration form (Monday evening, Thursday morning) and return to the Parish Office.